The Grand Philharmonic Choir will give the world premiere February 10 of an evocative choral work: “Celestial Dream,” by Nicholas Ryan Kelly. 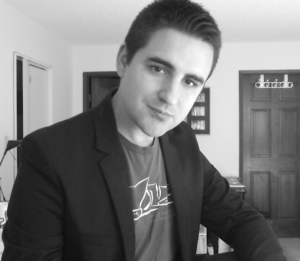 Kelly, of Penticton, British Columbia, is the winner of the choir’s inaugural composition contest for composers 30 and under, which attracted entries from across Canada. He will travel to Kitchener for the performance and will speak to the audience about the creative process. First drawn to music’s storytelling power through film soundtracks and symphonic poems, Kelly studied music composition at Ithaca College in New York and the University of British Columbia. He now lives in BC’s Okanagan Valley, where he is active as a composer, conductor and teacher. Kelly has received many accolades for his compositions. Since 2015, both his choral and wind ensemble compositions have been recognized with numerous national and international awards, including the Edwin Fissinger Choral Composition Prize. Kelly’s work will be performed at a concert featuring an array of other choral gems: the intensely melodic Chichester Psalms by Leonard Bernstein; the fresh and vivid Gloria by Francis Poulenc; and the celebratory Psalm 150 by Timothy Corlis. Soprano Natasha Campbell and countertenor Daniel Cabena are vocal soloists at the concert, which will be held at St. Peter’s Lutheran Church in downtown Kitchener.